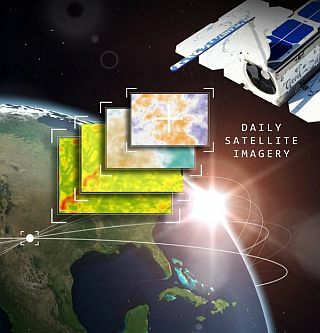 New Zealand’s Centre for Space Science Technology (CSST) and Earth imaging company Planet Labs have just announced a partnership to help drive regional economic growth by distributing Planet’s daily, global Earth observation data and analytics. CSST will act as the distribution hub and R&D partner for Planet in New Zealand, making sure industries and government agencies get access to Planet’s data and analytic products. CSST and Planet will also localize analytics and jointly develop new solutions to serve specific verticals. In doing so, CCST hopes to improve decision-making in key sectors of the New Zealand economy, including disaster preparedness and emergency management, agricultural monitoring, forestry and land use monitoring, water management, infrastructure monitoring, and intelligence gathering. “Earth observation data is becoming increasingly important in helping New Zealand address its biggest economic, environmental, and social challenges. The biggest advantage of Planet’s constellation is how frequently its satellites pass overhead, which is extremely important in the New Zealand context, particularly with disaster monitoring. For example, Planet imagery revealed close to 80,000 landslides in the wake of the 2016 Kaikoura earthquake. Real-time disaster monitoring with Planet data will transform how governments and businesses target preparedness and relief efforts,” said Steve Cotter, CEO of CSST. “CSST is an important partner for Planet as they understand the applications and use cases of daily global imagery, and can enable us to bring our products to New Zealand. They will be the frontline consultants for commercial businesses and government agencies at all levels who seek our imagery and analytics,” said Shankar Sivaprakasam, Vice President of APAC and Japan, at Planet. Utilisation of daily satellite imagery for forest operations, including that being supplied through Planet, is one of the key themes being discussed this year at the November ForestTECH 2018 series being run for local companies. Since 2018 when Interpine highlighted the opportunities that exist with satellite observation data, forestry companies are now finding this a game changer for their operations and planning.